The Medical Education Unit at the University College of Medical Sciences, where I am now doing my residency, is a small, but super-active group of people, and they presented today a workshop on Literature Searching and Reference Management. Although the target audience was mainly the Residents, there was some spill-over as well. There were students from 3rd Semester, Final Semester and even an Intern or two! 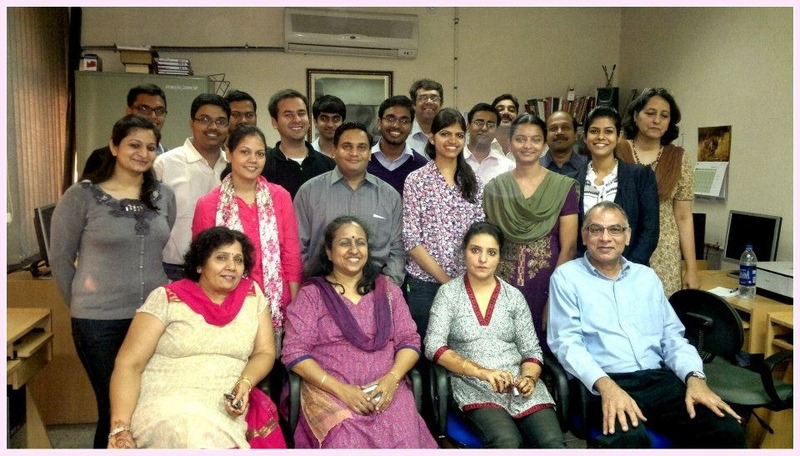 Also, interestingly, there were a few librarians in the mix – something I could not have even dreamt of in Kolkata! Of course, the bulk of the participants were residents, but it was also great to see the faculty members sit in as students. There were Professors and Asst. Professors who sat in with us, listening in to the session! This was an extremely surprising and enthusing thing, because it is indeed wonderful to see the Profs discard their roles and sit down with us, as one of us! It was a first in my experience, to be entirely honest. The workshop was conducted by Vasumathi Sriganesh, who we all know as Vasu Ma’am (so much so she chose the same URL for her blog!). For those of you who do not know her, she is the CEO of QMedKF (Facebook them here), and is at the forefront of a slowly, yet steadily growing health information retrieval and understanding revolution in the medical fraternity. She has been a mentor for me, so obviously I shall be providing a biased opinion of her work, so to get your own views, do sit in on a session she conducts. I assure you, if you have any interest in literature search, then you shall be left craving for more! I could say a lot more or review her work in details, but simply attending one session would be more evidence. 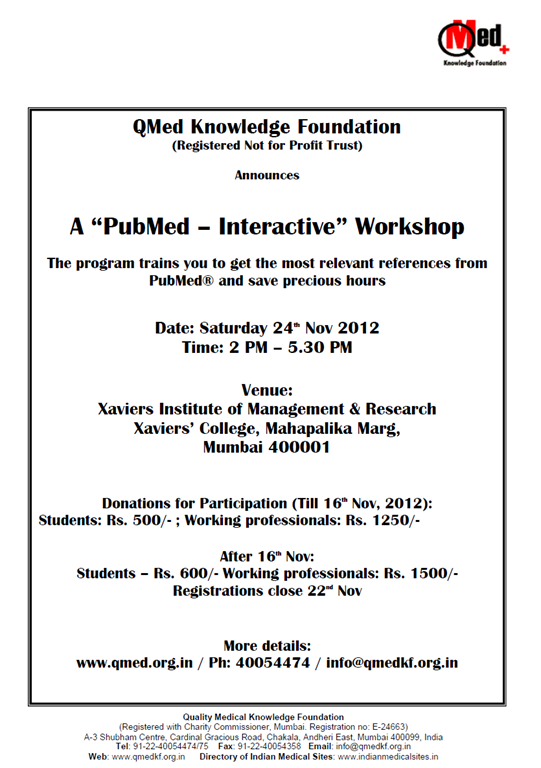 In fact,if you are in Mumbai or thereabouts on the 24th of this month, see if you can attend an interactive session on Pubmed searching. You can enroll for the program here. The first half of the session was an intense work-up on Pubmed. 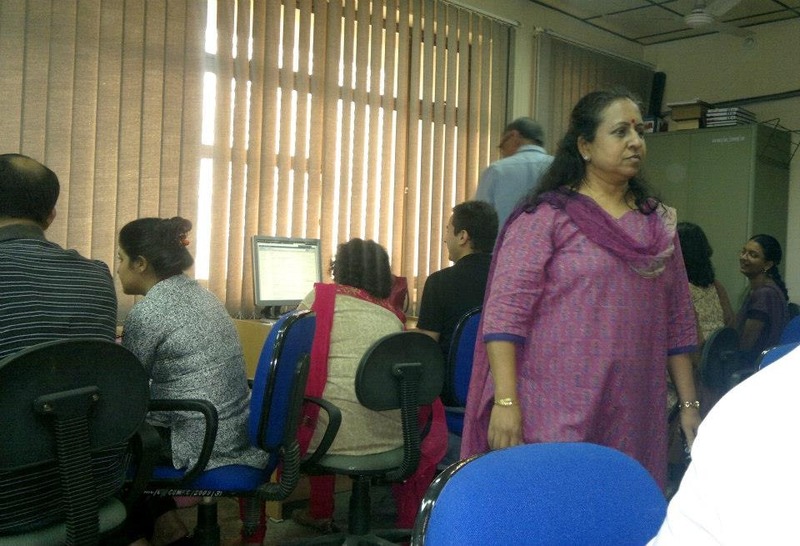 I used to have this pride, that being tech savvy and all, I am aware of search and have mad skillz, but after coming out from Vasu ma’am sessions, I am always left feeling like I used to hack away like a palaeolithic man with his pathetic stone instruments (I have said this before and I say it again…). The best part was that the session was largely hands on, with a lot of exercises and examples shown live, online. This was why the session whizzed by and we did not even feel even a bit exasperated by the amount of information that we were having to handle! This was followed by a session, short and pithy, on searching the Cochrane Database. Now the principles of search were basically the same, with some modifications in the user interface. Since we were running slightly short on time, there were less chances of doing stuff on our own, so, personally, I am not sure how much of the session shall stick or how much flow through the sieve of my memory! The final part of the session was on Mendeley, the reference management software. It was hands on and was obviously an instant hit. The reference-tortured crowd could barely contain their enthusiasm when they were shown that “M” [there, got the Bond-reference of the day in!] could not only act as a library of my references, but also insert an entire bibliography with as much as a single click! The group was not very large, but was largely motivated, which led to a high quality interactive session overall, and I think we were able to absorb most of the material that was thrown at us! 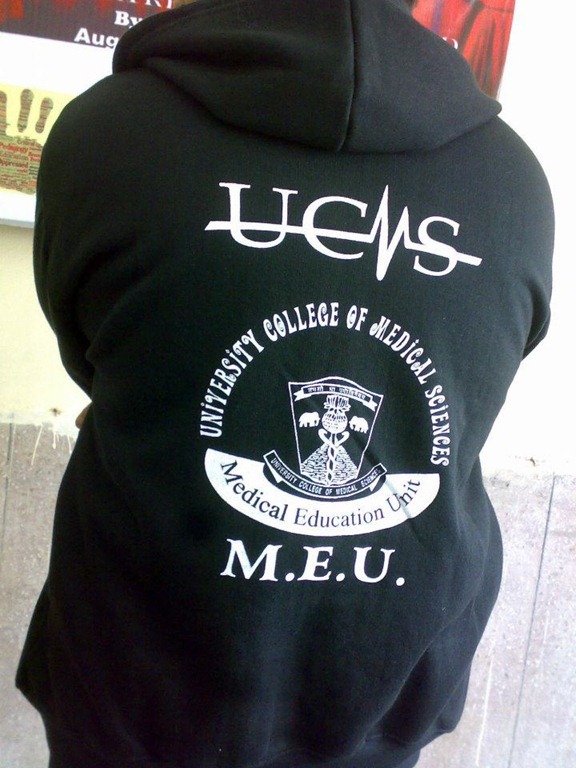 One thing that sets UCMS apart from many of the other medical education institutes is the MEU. 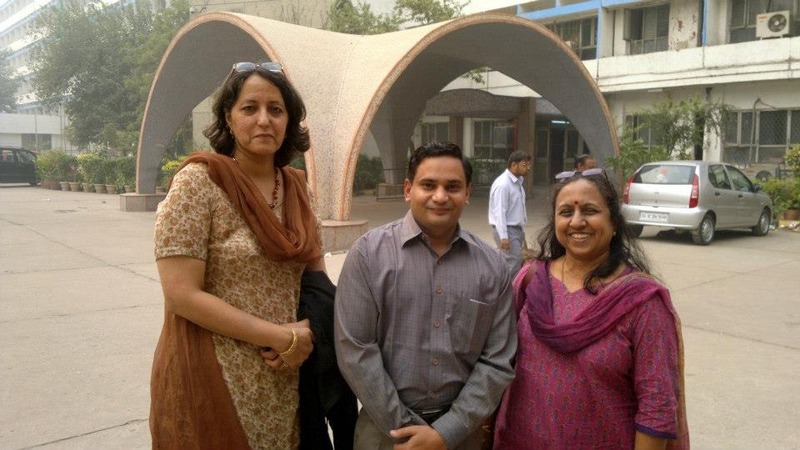 Led by teachers from different departments, this is a unique league of super-teachers! Tags: Cochrane, Google, Literature, MedBlogging, Medical Education, Medical Research, Medical Student, Mendeley, MEU, pubmed, Residency, Residency at UCMS, Search, UCMS. Bookmark the permalink. Dear Baldwin, I agree with every word, except that you should have a ‘winning’ title for your picture album, rather than an allusion to the ‘one who must not be named.’ The reason I say this is because I am certain your name will one day be up there with the winners; you show an unusual amount of promise. 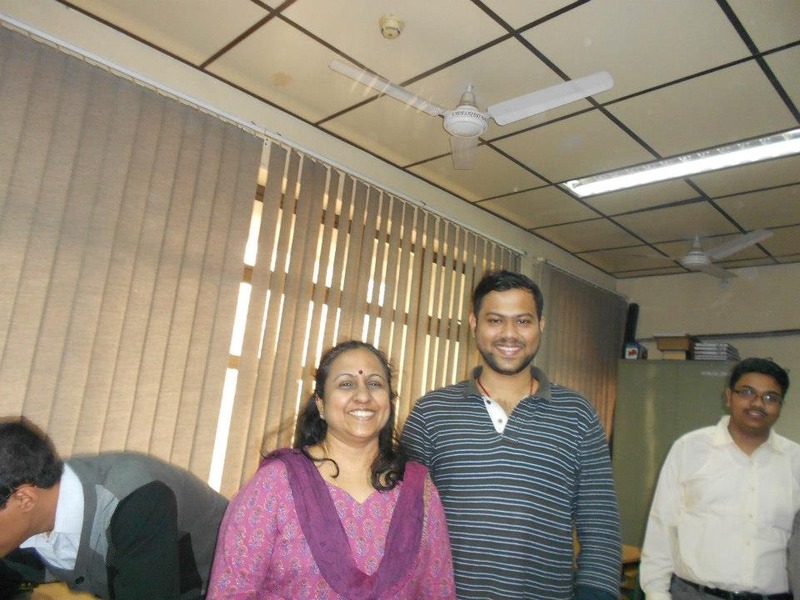 Another successful Sunday workshop at MEU and another great write-up by Pranab. Keep it up. I second your “sieve of memory” concept. I know mine is more sieve than memory. 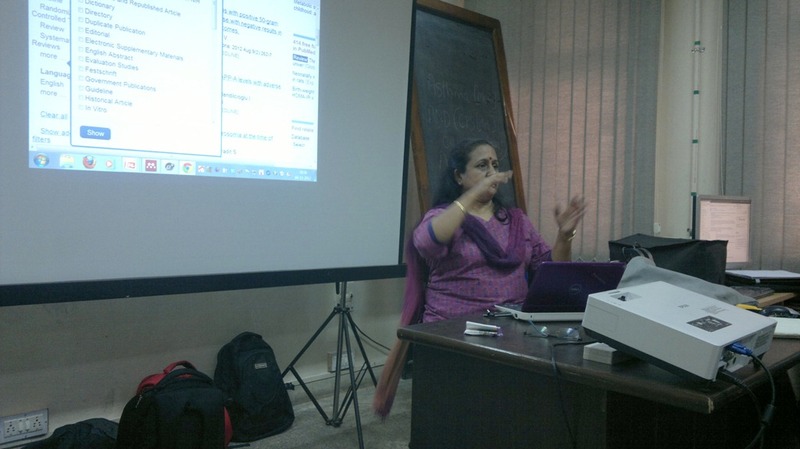 Thanks to Vasu ma’am, this workshop helped plug some of those holes. What else can a faculty member ask for? Thanks Pranab! But… let me add this too. When the “students” (esp a group that includes Profs) – all of them rock with enthusiasm, the teacher is left craving to teach and share more!